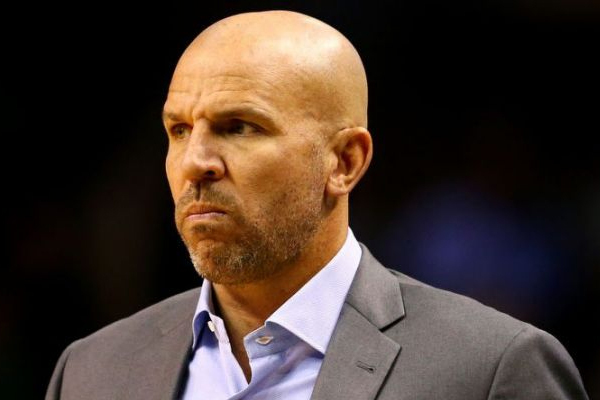 On Sunday, ESPN’s Adrian Wojnarowski reported that Jason Kidd will be a “serious coaching candidate” for the Los Angeles Lakers should Luke Walton be fired after the season. The news comes amid a report that he is also expected to be in the running for a job at his alma mater, the University of California, Berkeley. Kidd gained experience as a head coach for the Nets (2013-14) and the Bucks (2014-18). He was fired by Milwaukee in the middle of the 2017-18 season. Kidd’s coaching résumé includes a 183-190 record over 4 1/2 seasons with the Brooklyn Nets and Milwaukee Bucks, a team from which he was fired in the middle of the 2017-18 season. Hi greatest success was turning around a 10-21 start in his debut with the Nets to finish the season 44-38, but that resulted in a failed power grab by Kidd and a trade to the Bucks. Kidd then spent 3 1/2 seasons with the Bucks before being fired. He was criticized for an old-school, hard nose approach and often blamed the team’s youth for its problems instead of accepting his own shortcomings. So stay tuned this suummer, because if the Lakers do move on from Walton, a coaching search will become a critical part of the Lakers offseason.